When you are embroiled in a legal dispute, your adversaries need to know that you have the will and ability to bring the matter to trial if it cannot be resolved through other means such as mediation and arbitration. If the matter does go to trial, you want an experienced and successful trial attorney on your side to protect your interests, contain your risk and exposure, and improve your chances of a favorable outcome. Do you have a trusted partner to whom you can turn for sound business legal advice? Whether you're just establishing your business or managing an ongoing concern, legal counsel that serves your business objectives is critical for success in today's world. Since our founding we have been helping companies establish, protect, and grow their businesses. From formation to dissolution – and every step in between – your legal choices determine your future opportunities. Organizations that leave legal matters to chance take a huge risk that leaves them vulnerable in the marketplace. One well-argued lawsuit can mean the demise of a poorly structured or operated company. We can advise you on how best to structure your company, negotiate contracts, draw up employment agreements, and manage ongoing operations to minimize your risk and maximize your opportunity. Smart business owners don't wait for difficulties to arise – they take a proactive stance to ensure their position in the market. 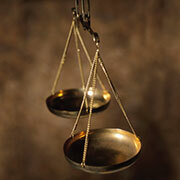 Find out how your business can profit from astute legal advice. Let us help you build a solid foundation that positions your company for growth and success. Safeguard your business' future – contact us today!